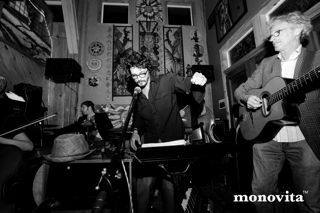 Mood Area 52 plays Americana influenced by latin, world, and instrumental art music. 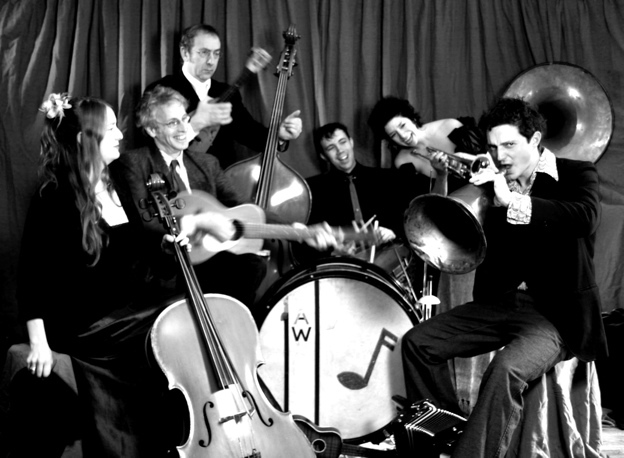 Mood Area 52 started in 1998 as a Piazzola inspired neo-tango and silent film score ensemble. Since then the group has morphed into an ensemble defined more by instrumentation and mood than genre. 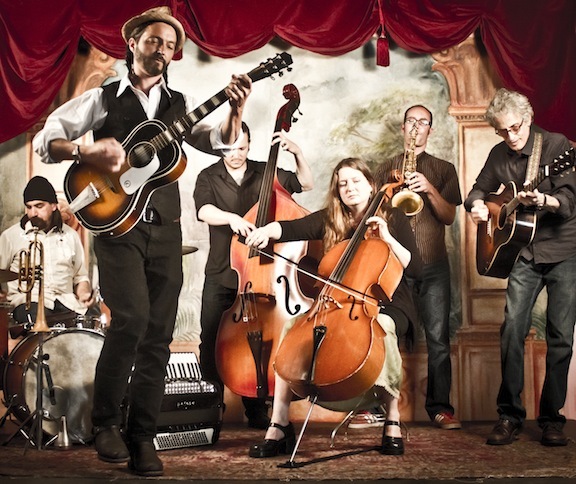 Their most recent releases, Company Town and 1952 Philanski House, blend roots rock, instrumental tango, jazz, blues, Balkan influences, ranchera, and American folk, country, Brechtian cabaret, and classical music. 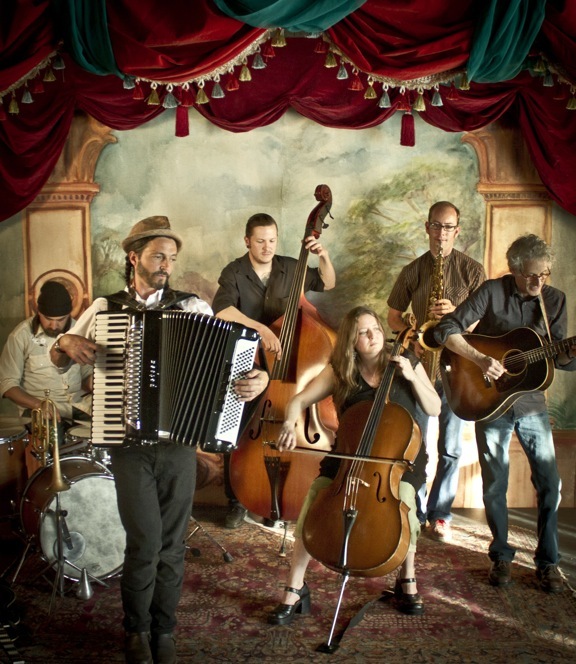 The Band performs acoustically as a trio with Michael Roderick and cellist Amy Danziger, and Billy Barnett and expands combining the talents of accordionist and vocalist Michael Roderick, cellist Amy Danziger, Tenor saxophonist Kee Zublin, bassist Jeremiah Harris, and drummer Tony Figoli. Mood Area 52 has performed with The Squirrel Nut Zippers, Naim Amor, Chuck Palhnuik, The Damo Suzuki Network, Rasputina, The Tin Hat Trio, Slowpoke, Amy Denio, Devotchka, David Lindley, Marianne Dissard, The Vagabond Opera, Jason Webley's "Monsters of Accordion," Mark Growden, Kim Boekbinder and The Vermillion Lies, The Fishtank Ensemble, and many other polite and brilliant musicians. They perform in venues ranging from clubs to festival stages to alzheimers wards, accompanying burlesque troops and providing original soundtracks to golden age films. Mood Area 52 has written and performed original soundtracks to F.W. Murnau's "Nosferatu", Marks' distopian sci-fi classic "La Jette", Sunset Boulevard, Buster Keaton's films, the short films of Geoges Mellies, numerous independent films, and select advertisements and television programs. Roderick and Danziger's compositions have been used in numerous independent films and advertisements internationally and within the US. They have been featured on NPR, Argentinian national public radio, and on northwest public radio affiliates including the theme music for KLCC's "News at Noon" program. Send booking questions and any other questions to Michael Roderick through this website - michael@rocketboyarts.com. 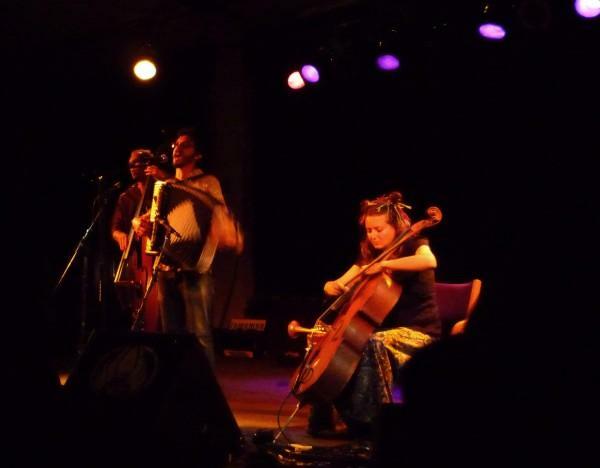 Mood Area 52 is available as a full band or a small group performing either vocal, mixed, or instrumental sets including tango and all sorts of other material. 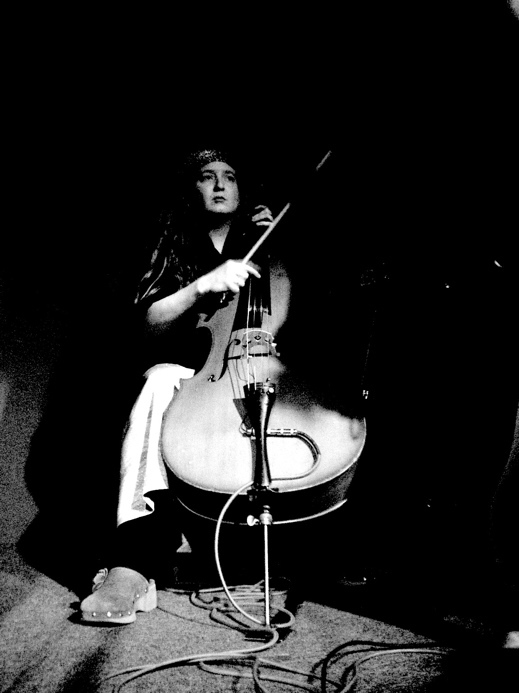 Mood Area 52 has been busting the alleged boundaries between the hopelessly inadequate categories of jazz, classical and world music for years now, and they seem to attract likeminded trespassers. I hadn’t heard MA52 in far too long, and this pair of new albums (recorded simultaneously) came as a shock. While maintaining all the tangofied goodness of its earlier work, Mood Area 52 has evolved into terrific indie band, complete with memorable tunes and plenty of passion, as indicated by bandleader Michael Roderick’s heart-y cover drawings on both CDs. Billy Barnett’s guitars plus a rhythm section add some oomph to the original atmosphere conjured by Amy Danziger’s cello and Roderick’s accordion and horns, and his gritty vocals (expertly paired with Marietta Bonaventura’s clear soprano) and evocative lyrics remind me of Tom Waits without the pretentiousness. The recent wave of bands channeling klezmer/cabaret/Eastern European instruments and influences seldom transcends novelty act pastiche, but MA52 offers a richer, multicultural palette — a confident band clearly hitting its stride and poised for national prominence. 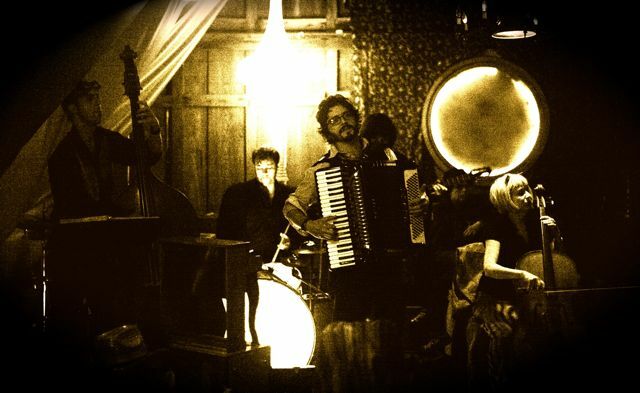 As ghouls and mice, starlets and beatniks filed into the hall, Michael Roderick’s Eugene-based, klezmer-tinged neo-tango ensemble, Mood Area 52—which holds the title for most mismatched band name, as there are no trippy light shows or spacey keyboards to be found—ushered in the evening. 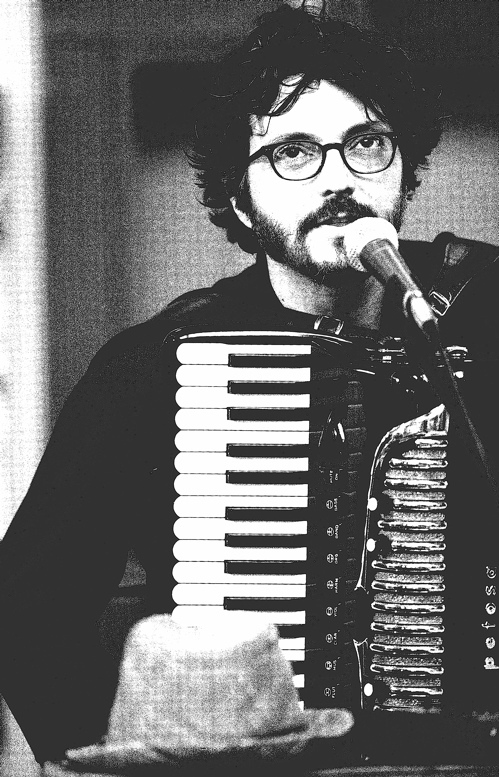 Roderick, seated on a tiny stool and donning a sort of mad circus ringleader getup (tailored suit, dark-circled eyes, tall hat, unruly beard), teetered on the edge of the stage, roiling accordion in hand. Later, he took to shouting chanty verses at the crowd, channeling the gruff spirit of Isaac Brock from Modest Mouse’s “March Into the Sea.” When Nosferatu finally began, the band melted skillfully into the background; it was so subtle I could have sworn actual sound effects, like creaking-door and wind noises, were part of the film, even though I knew better. But Mood Area 52—which has also lent its sound (a melding of tango with everything from electronic beats and surf guitar to Roderick’s masterfully played cornet) to British sci-fi flick La Jetée and several Buster Keaton shorts—also swelled and shattered at all the right moments. Mood Area 52 is as spooky a tango group as you're likely to find in this town or any other. Their full-length, self-titled album contains one of my new favorite compositions ("Furniture Migration") as well as a number of other brilliant little pieces of creepy mood music. It has been said that they're looking for films to score, so if you need a little old-school European flavor, you might want to get in touch. Mood Area 52's instrumental music moves gently from tango rhythms to old-world melodies, anchored by Roderick's skilled accordion playing. Close your eyes, and it's easy to imagine yourself in a French café on a shadowy cobblestone street, or in a gypsy village under the stars. Roderick enjoys composing film scores, and would like to do more of this with Mood Area 52. "I think we all harbor the aspirations of doing music for films," says Roderick, "So I'm trying to shop this recording around in the hopes that someone will be interested in using it in that sort of context. A local quintet, this band's debut CD is self-described as "tango nuevo." Jauntily combining sax, guitar, marimba, bass and accordion, the nine instrumentals exude a continental ambience. Whether for cafe society class, lounge lizard cool or rustic romance, MA52 gets my vote. Mood Area 52 features members of such local favorites as Thong, Los Mex Pistols and The Cherry Poppin' Daddies, so you know the music's good.